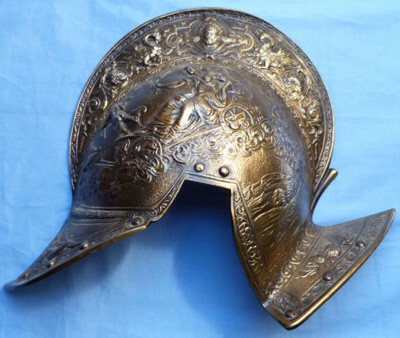 Antique Japanese brass Kabuto helmet plate. 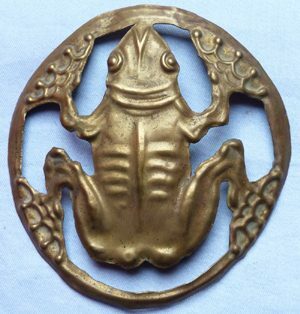 19th Century Japanese brass Kabuto helmet plate - in the form of a frog or toad. Dimensions are 4 inches x 4 inches.